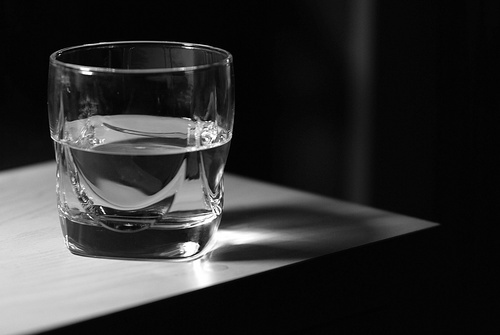 Is the glass half empty... or half full? There are many questions in life that are beyond the remit of logic. If you looked at the glass above and only used logic to determine an answer, the only one it would yield you is that the glass is filled to 50% of its capacity to hold liquid. Logic is great for yielding answers that are dependent on calculation and quantifiable results. Yet when it comes to philosophical, theological or personal truths... logic reaches its limitation; it just isn't designed to make grand hypothetical sweeping gestures based on a personal point of view. From a logical perspective, I can't fault the reasoning. I cannot question the fact that there are billions of galaxies containing millions of star systems and that each one of us is but one tiny individual in a vast cosmos that progressively dwarves us as we move further away from our humble planet into the deepest depths of the universe. However... logic merely tells us the size and number of those objects, it is not equipped to make a conclusion as to their significance. 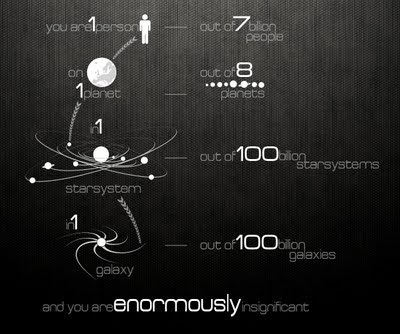 YOU are the only individual who will ever exist in your own allotted time and place. Nobody will occupy the same point in history and geography as you. No one will ever see things quite the way you do... or dream the dreams you dream, or meet and influence other individuals at the same time or in the same way as you. As wondrous, amazing and beautiful as this universe is increasingly revealed to be... none of its great storehouse of treasures can compare to the truth of the simplest miracle - that each one of us is unique and valuable to the people we call friends and family. Most of all (for those of us prepared to accept his existence), we are uniquely important to God. We are constantly reassured through scripture that our value exceeds many sparrows; that the hairs on our head are numbered; that God watched over us and took an active role in forming us while we were hidden away in the womb. So great is his interest in each one of us... that there is nowhere we can go to hide from his Spirit. Genesis describes how God saw that everything was good when he made it... but he saw that it was very good when humanity started to walk the Earth. Ultimately of course, God's passion for us as individuals was realised when he sent his Son to seek and save us when we were lost. 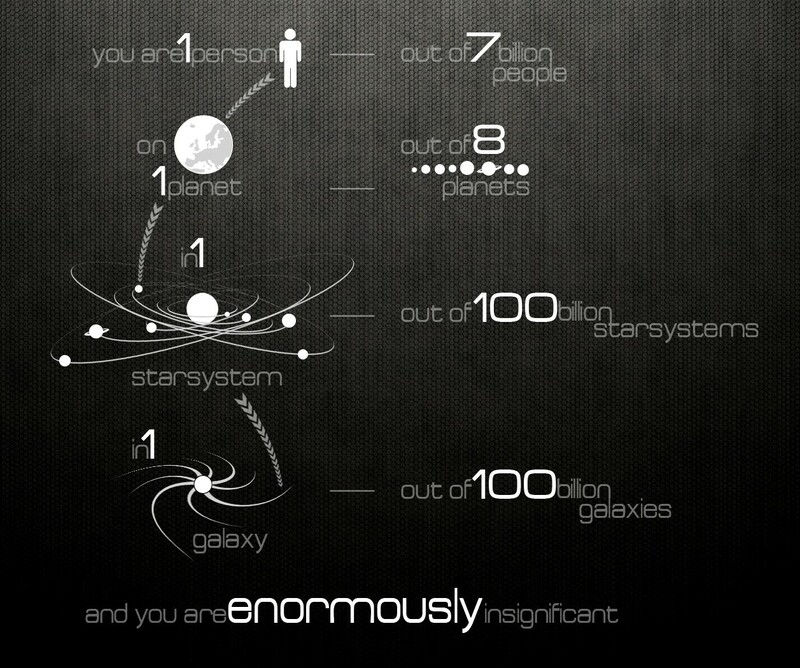 So yes, maybe you are enormously insignificant... but you are also tremendously significant. It is all a matter of perspective... and whether the cosmic glass is half empty or half full. Sometimes we need to be reminded of both these perspectives. "The beauty of a living thing is not the atoms that go into it but the way those atoms are put together. The cosmos is also within us. We're made of star stuff. We are a way for the cosmos to know itself." - Carl Sagan.